Born in Japan and raised on Honolulu, Alan Wong is one of Hawaii's top chefs and a major influence in creating a unified and distinctive regional cuisine. Wong led the way in capturing the essential flavors and exceptional cultural diversity of his home, earning him a prestigious James Beard nomination for Best Regional Chef. 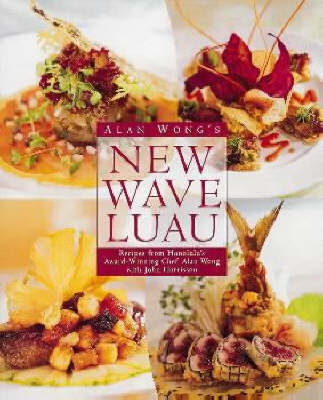 In a unique triumph of East-West style, Alan Wong's New Wave Luau showcases Alan's signature blend of Pacific-Rim styles. His genre-bending fare combines Western culinary techniques with the flavors of China, Japan, Hawaii, and beyond - with tantalizing and innovative results. With delicacies such as Lobster Won-Ton Ravioli in a Curry Potato Sauce and Kona Mocha Brûlée, this volume delivers these incredible indulgences to the home cook.